There are some wonderful natural remedies for stroke prevention and help after the actual event. Please Contact Us if you have questions regarding nutritional support for stroke prevention. Any supplement programme will stand a better chance of working or work more successfully if the overall nutritional status is taken care of, for details of this please see our Core Regime as the foundation - a proven nutritional program that improves health. 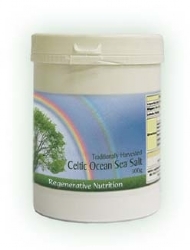 Use only healthy salts – Celtic Sea Salt & Ionic Minerals Full spetrum salts such as these are usually essential in reducing blood pressure, find out why in the articles. This seems to be the opposite of common knowledge about refined salt. Avoid all heated oils, especially heated or processed vegetable oils, margarine, hydrogentated oils and fats. This includes fried food, and most processed food. Natural sources of fats have been eaten for millennia without heart disease - butter, coconut oil, and all raw saturated fats. Also some raw vegetable oils,such as a dessertspoon or two of raw seeds or nuts daily, good examples are walnuts, almonds, brazil nuts, sunflower seeds all raw. 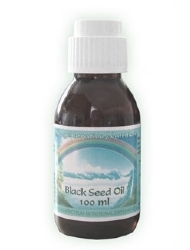 are beneficial for cardiovascular health, and black seed oil is especially beneficial. 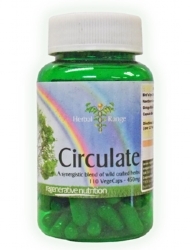 Our Circulate capsules contain wild crafted herbs to normalize the circulation, blood vessels and heart function. 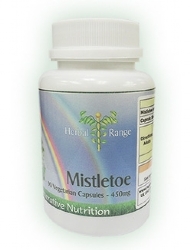 Mistletoe, hawthorn berries and tops, horse chestnut, ginger, ginkgo biloba, Capsicum. Herbal remedies have been studied, tried and tested around the world for millennia. They have all the power and capability to treat cardiac and circulatory disorders, or preferably prevent them. Their use has largely been forgotten in the modern 'civilised countries' since the pharmaceutical industry has gained the marketing and propaganda ascendancy. 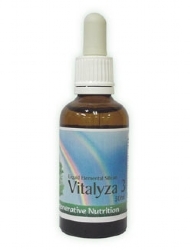 At Regenerative Nutrition, we believe that herbs provide a superior and natural approach for many health conditions. Immunocomplex is rich in all B Vitamins as well as A, E, D, K, beta carotene, minerals, trace elements, and amino acids such as Methionine, Gluthathione and Cysteine. Followed by Co enzyme A and Co enzyme Q10. plus a number of other enzymes. 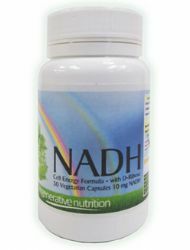 It provides multi-nutritional support including making more oxygen available (see also informationabout essential fatty acids) for all the cels in the body and this is especially important for the heart muscle and the quality of blood. CoenzymeQ10 is highly concentrated in heart muscle cells. A great deal of clinical work has been carried out CoQ10 and heart disease. Pioneering trials of CoenzymeQ10 demonstrated that heart function, showed a gradual and sustained improvement. The degree of improvement was occasionally dramatic with some patients developing a normal heart size and function on CoenzymeQ10 alone. Most of these dramatic cases were patients who began CoQ10 shortly after the onset of congestive heart failure. Patients with more established disease frequently showed clear improvement but not a return to normal heart size and function. 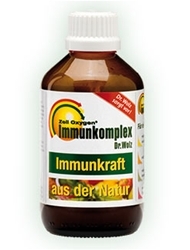 We recommend the use of Immunocomplex to supply all the required enzymes including Q10. 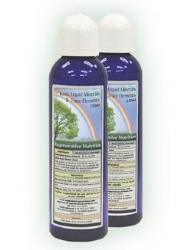 This provides a longer term, more holistic solution than just using isolated enzymes. If a stroke has recently occured and high blood pressure is an issue it may be wise to leave off the use of Immunocomplex and certainly CoenzymeQ10, as bringing the heart to a more normal function (stronger pumping action) could possibly be the 'straw that broke the camels back' with an increased risk of stroke re-occuring. In this case it is suggested that a few months use of Vitamin C with acerola be used to strengthen the blood vessels before using Immunocomplex, or the more agressive Co enzyme Q10. 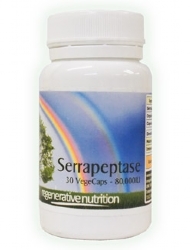 The late German physician Dr. Hans Nieper used Serrapeptase. as a treatment for arterial blockage in his coronary patients. It protects against stroke and is reportedly more effective and quicker than EDTA Chelation treatments in removing arterial plaque. He also reports that Serrapeptase dissolves blood clots and causes varicose veins to shrink or diminish. Dr. Nieper told of a woman scheduled for hand amputation and a man scheduled for bypass surgery who both recovered quickly without surgery after treatment with Serrapeptase. 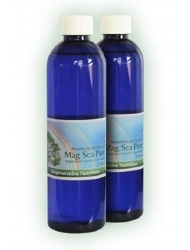 However, we recommend, in preference a multi-enzyme formula containing serrapeptase and other nutrients to clear and protect the arterial and vascular system. 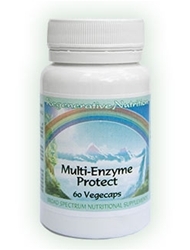 This is Multi-enzyme Protect. When employing serrapeptase or multi-enzyme protect, care needs to be taken if there has been a stroke within the last few months that was associated with internal bleeding, as until the collagen of the blood vessels is strengthened there may be an increased risk of further bleeding. In these case it is suggested that a few months use of Vitamin C with acerola be used to strengthen the blood vessels before using the Serrapeptase or Multi - Enzyme Protect. Vitamin C deficiency can lead to leaking and even rupture of the blood vessels causing a stroke. Vitamin C and silicon are two vital nutrients needed to support the strength of the collagen lining the blood vessels. There is a minimal amount of vitamin C in the Multi-Enzyme protect formula, but more can be helpful see our Vitamin C Powder-sodium ascorbate ( This is now available as a powder mixed with acerola cherry extract for food state vitamin C). Organic Silicon becomes more deficient as we age, so supplementing with Organic silicon can help to strengthen the blood vessels and help, along with vitamin C in preventing leakage or brakeage of the blood vessels. Stoke is either due to failure of integrity of the blood vessels due to hemorrhage (this is more likely to happen when the blood pressure is very high) or due to blockage of particular blood vessels. Ensuring the strength of the collagen of the blood vessels and the quality of the blood will cover these two aspects to help prevent stroke or re-occurrence of stroke. 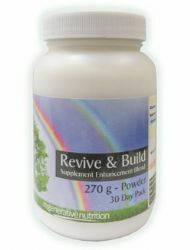 The supplements recommended for the treatment of Stroke Prevention & Recovery are listed below. Not all will necessarily be discussed in the article, as some may have been added after the article was posted. If a listed supplement is not mentioned within the article, or you wish to know more about any of the listed supplements, you can find out more information by clicking on that supplement below. You can also now add to your basket directly from this page.